'Start where you are, use what you have, do what you can. 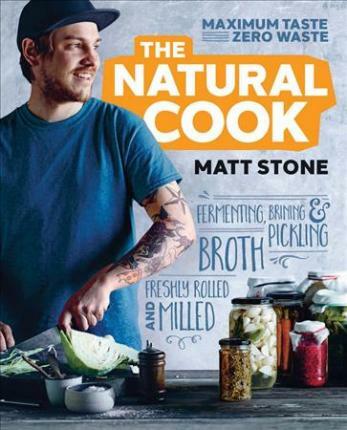 'Matt Stone, one of Australia's brightest young chefs, has a natural rock-star talent and an ambition to change the world. He believes that if you eat well, you live well. If you cook creatively, you'll be more fulfilled. If you consider the provenance of your food, you'll live a more sustainable life. And that none of this has to be hard work...Here are over 100 recipes to show you how eating healthily and ethically doesn't have to be an enormous burden. Matt also talks you through the basics of foraging, pickling, reducing waste and how to use the rich native ingredients that are all around us. Most of all, though, this book is about cooking cracking food, and how, with a little effort and thought, it will soon become second nature. Matt Stone is the wunderkind of the Australian food industry. By 22, Matt was head chef of Joost Bakker's eco-restaurant Greenhouse in Perth, when he also went to head Iron Chef with Neil Perry. In 2011 he was awarded Gourmet Traveller's Best New Talent award and West Australia's Good Food Guide's Best Young Chef. Now head chef of Oakridge winery in Victoria, Matt is also the co-star of the National Geographic food show Recipes that Rock with Blur bass guitarist Alex James and is a regular on the top-rating TV show MasterChef.